The Nike hype hasn’t died down with the release of the new Nike Metcon 2. I had a difficult time trying to pick up a pair at launch but they were sold out. My fiance was able to get them from Footlocker.com but they were back ordered. I waited until late February and I’ve been wearing them ever since. If you liked the previous version of the Metcon, you’re going to love the Metcon 2. I will be comparing these shoes to the previous versions which I have reviewed on this site. 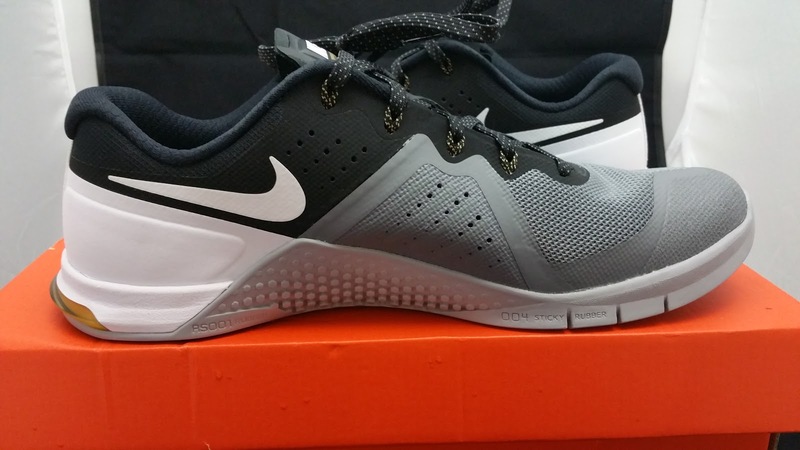 Check out my previous reviews on the Metcon 1’s for more info. Over the past few weeks I’ve used these shoes for everything. They were my go to CrossFit and casual shoe. This was my favorite colorway from the launch selection. The gold on black and grey looks fantastic. 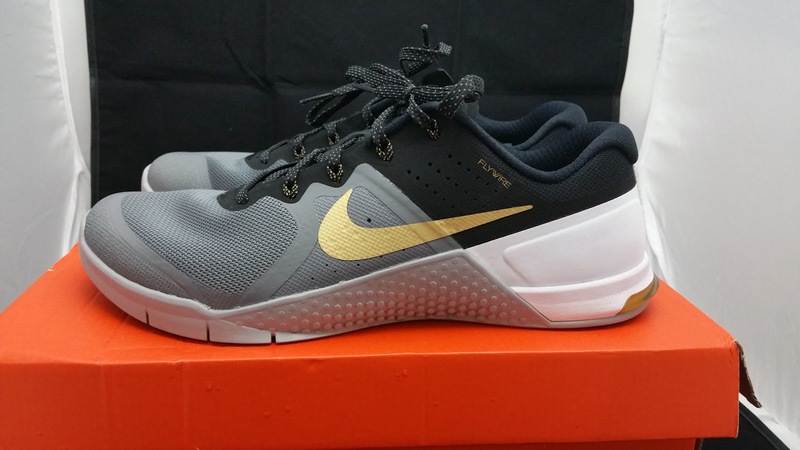 If you take a closer look, the shoe looks very similar to the Metcon 1. The shoe is divided into four sections that can have different colors. The area around the laces are different but it’s not a huge change. The shoe fits like the Metcon 1, true to size. It took a week or two to break in, but that’s like most shoes. 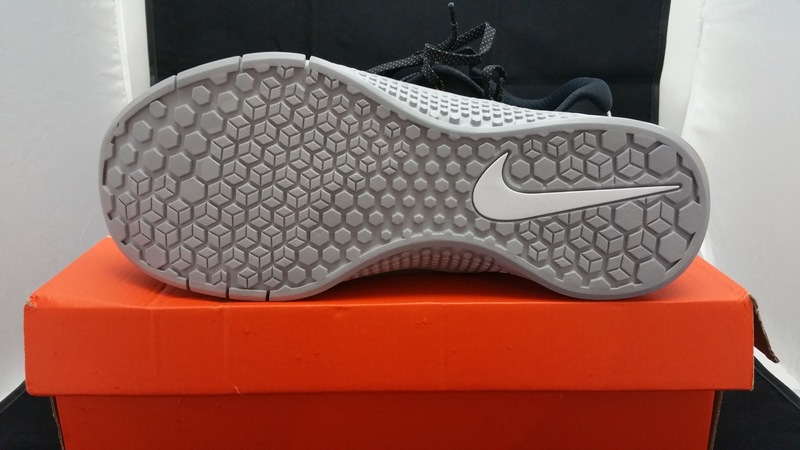 The mesh on the toe box is the same as the second wave of Metcon 1’s but has a different construction. 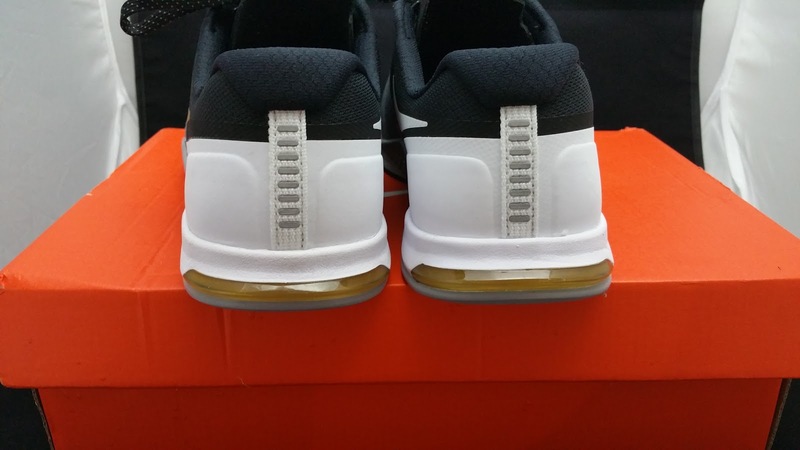 The sole doesn’t look too different from the previous version and that’s not a bad thing. Changed the heel by adding more padding. Heel should slip less. Added a plastic plate to the heel which reduces friction on the handstand pushups. I put these shoes through its paces. CrossFit to casual wear, these shoes have held up great. The sole is a bit more rigid in the heel area; I didn’t feel as much compression during squats. The sole is still flexible and do not make a squeaking noise (yet). I still wouldn’t want to run long distances in them. A mile max, but I don’t think any shoe would help me at that point. My heels felt more locked in during running and jumps. 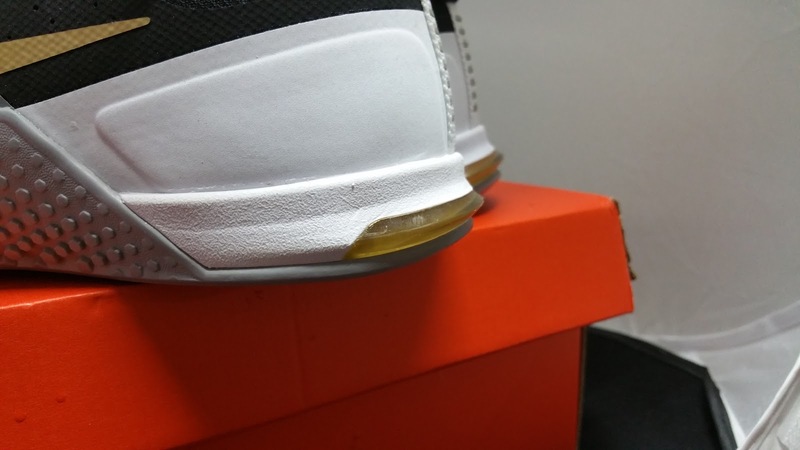 The extra padding around the heel and a new heel design is probably the reason for the improvement. I haven’t done a lot of rope climbs yet but that’s on my list of things to test. The gym just built a rig that has a rope climb section. The plastic heel works and I do feel less resistance. I’m not sure how much of a difference it’s going to be but it will take some stress off the sole. The wall has to be flat and smooth since that plastic piece will be able to grab onto cracks. I haven’t encountered that problem yet but it might be something to look at. If you’re a fan of the first Metcon, you will definitely love this one. Nike took all the feedback and improved the shoe for the better. My only complaint from my first pair was the mesh on the top of the shoe but that looks like it has been fixed. I need to do more rope climbs and bang it up a bit to talk about the durability. I’m having a great time working out in these shoes and I’m sure you will too.